US Airforce Pilot and researcher John Boyd once proposed a model known as the OODA Loop Observe, Orient, Decide, Act. Boyd suggested that, two pilots locked in a battle would constantly need to observe what their opponent was doing, orient themselves in relation to their opponent’s tactical maneuvering, decide what they should do and then act to counteract the opponent’s tactics. At the same time, the opponent would be doing the same thing. As a “loop” this ballet would continue until one pilot could get “inside” of their opponent’s OODA Loop and process enough information quicker than the opponent could react, and that pilot would typically win the fight. 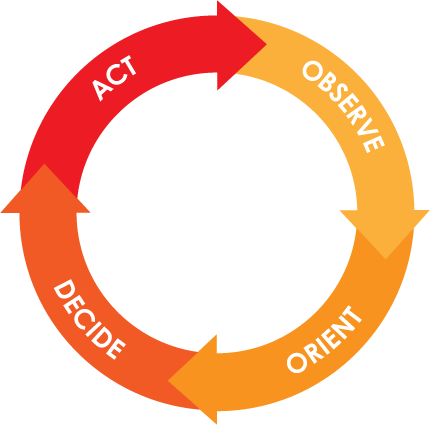 Once a cycle of this OODA loop has executed, the machine needs to re-observe the resultant micro-business environment, re-evaluate the results of the action that we just took (orient) and update its data and algorithms (decide) and (re)act. Nowhere is this OODA loop of machine learning more obvious, tactical and tangible than in the area of manufacturing and production processes. Take quality control for example. 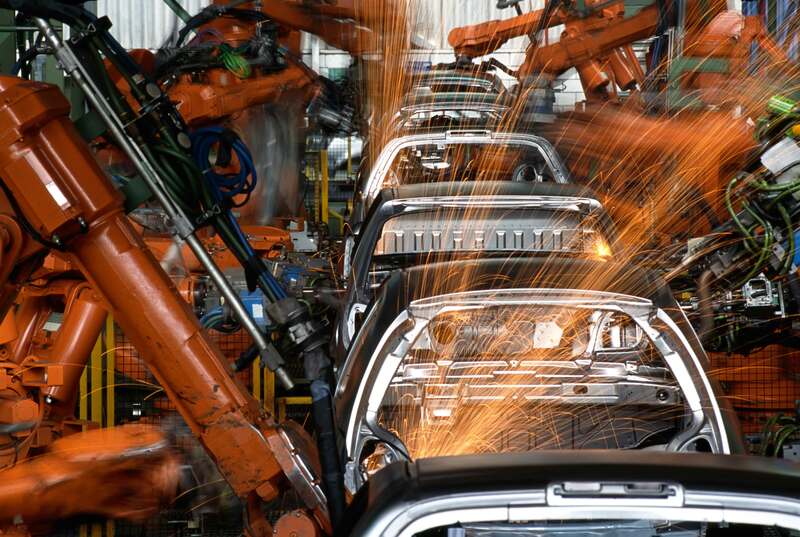 In this highly simplified view of manufacturing Quality Control, first we detect a defect. How is the defect detected? It is observed. Perhaps a Quality Technician physically identifies the defect during a routine inspection. Alternatively, we could develop an automated process that uses sensors to identify the defect based on optical scans of the product or line item tests of product standards (learn more about the internet of things here). Next, orient. All relevant and significant information is recorded in a high volume, high speed database (Big Data and HANA). A Quality Engineer then analyzes the root cause of the defect and makes a recommendation for actions to be taken to remediate the defect (decide). Finally, the Quality Engineer takes an action to correct the defect as well as what caused it (act) and the process repeats itself. During the observe stage, an algorithm can be developed based on past defect history to look for certain, very specific problems, but more importantly areas where problems might Think of the fighter pilot who knows what most average opponents would do in a tactical situation, as well as what an innovative opponent might do. Further, if this set of actions has been recorded and can be observed in a fraction of an instant – we have an opportunity to get inside that opponent (or strategic competitor’s) decision loop. Machine learning can be used during the decide phase to dynamically learn – or to constantly expand the universe of potential courses of action while using analytics to create predictive models of the possibilities of success of alternative strategies for remediation as business conditions continue to expand. Once we make our QC decision and act, that action goes into our history of actions and we can assess the results of our actions to repeat this learning cycle. By using machine learning and the OODA loop, we are now able to accelerate decision making and respond more effectively and more rapidly not only to our own quality issues but to understand our own quality control environment in the context of our competitors. 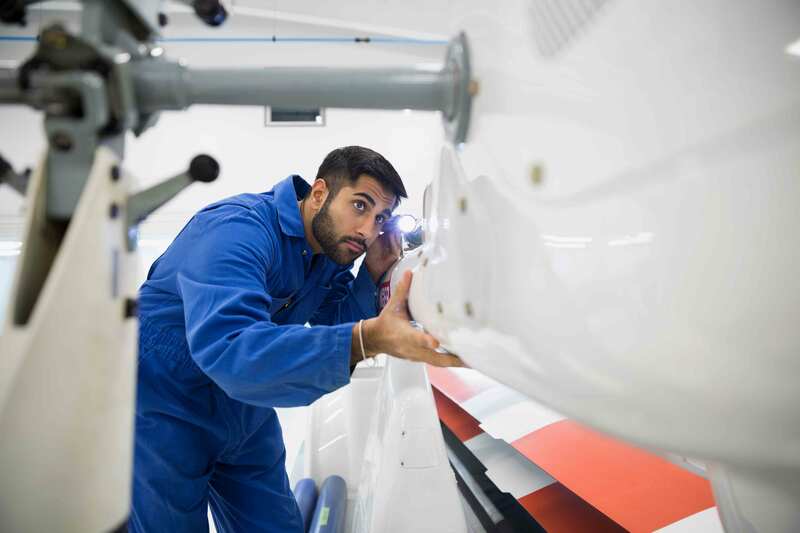 Once we can observe, orient, decide and act on all of the variables in our manufacturing and production environment – faster and with better information than our competitors, quality control can become a strategic lever which we can use against our competitors who are no longer able to out-innovate, out-produce or out-QC our operations. In the next blog in this series, we will have a look into what it takes to start a program of machine learning. What kind of data do I need? Who processes all of this data? Am I staffed right for this type of effort? What sort of infrastructure will I need to build this framework?